Are you looking for a fast and gentle cosmetic treatment to straighten your teeth? Look no further. We have the best solution for you! For a simple, gentle and minimally invasive solution for correcting alignment issues, Cfast is your perfect choice. 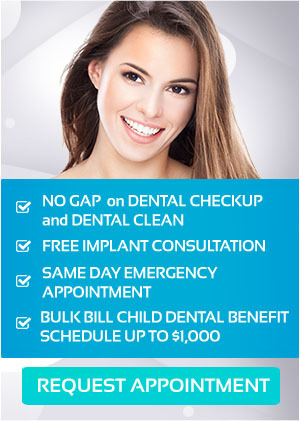 It’s a Fast, Discreet and Affordable solution for the smile that you’ve always wanted. Cfast is ideal for mild to moderate crowding of teeth, gaps and even those gummy smiles. Talk to our dental experts here at United Smiles today and we will provide you real and comprehensive answers to your orthodontic concerns. Cfast tooth alignment braces come in different types for your individual needs and lifestyles. To straighten the front teeth, Cfast labial is the innovative orthodontic procedure available, which produces results in less than eight weeks at a very reasonable price. Cfast are very discreet and rarely affect your speech or eating. Simple lingual is the ultimate in aesthetic braces that use brackets positioned on the inside of your mouth in order to move and align the front four to six teeth. Since lingual braces are hidden at the back of your teeth, you don’t need to worry about your appearance and you can enjoy the process much more. ART or anterior repositioning trays are the ideal Cfast option if you are unable to wear a fixed appliance. Using the principles of orthodontics and state-of-the-art materials, ART provides a series of clear aligner trays that gently and effectively move the front six teeth into their ideal position. Cfast provides fast solutions for mild to moderate orthodontic problems. Thus, the treatment can be done very quickly, which makes it more pocket-friendly than all other orthodontic options. Moreover, it takes less time compared to traditional metal braces since it focuses only on the top and bottom front six teeth, which are known as the “social six”. If you are uncomfortable with highly noticeable metal braces, Cfast uses clear orthodontic brackets and tooth-coloured nickel titanium wires to make the wires and brackets almost invisible. Now, you can wear braces that won’t affect your smile and is barely noticeable. The special nickel-titanium wires also further enhance the process, exerting gentle pressure to force movement in your teeth. Cfast braces are worn for only a fraction of time compared to conventional orthodontics. The short treatment time makes the price much lower than wearing uncomfortable traditional braces. Many patients love their new smiles. Thanks to Cfast – it’s affordable, discreet and offers fast and impressive results in a short period. Why wait? With Cfast, you can have that celebrity smile in just a few months. For more information about Cfast Cosmetic Tooth Alignment, call or visit your trusted dentist in Mernda here at United Smiles.